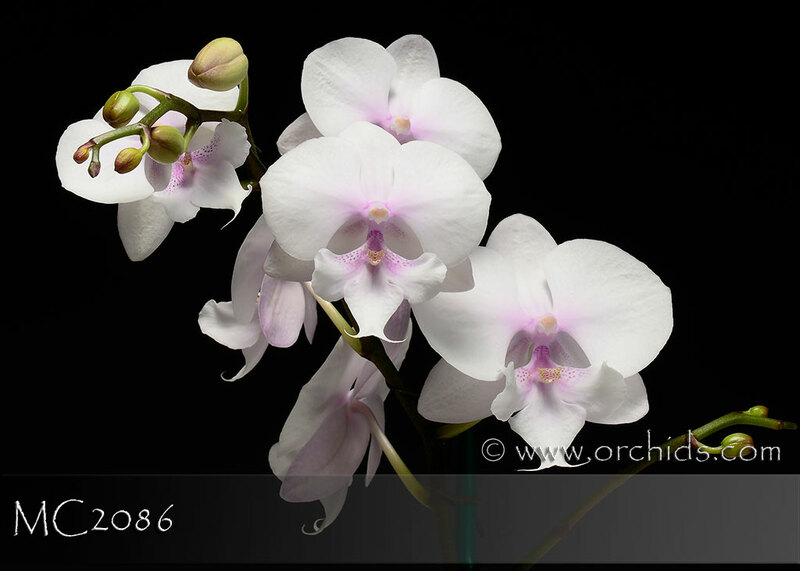 An exciting new hybrid reflecting the newest direction in breeding for “broad lip” Phalaenopsis! Phal. Sogo Genki, the pod parent, is a beautiful white with a central pink blush. 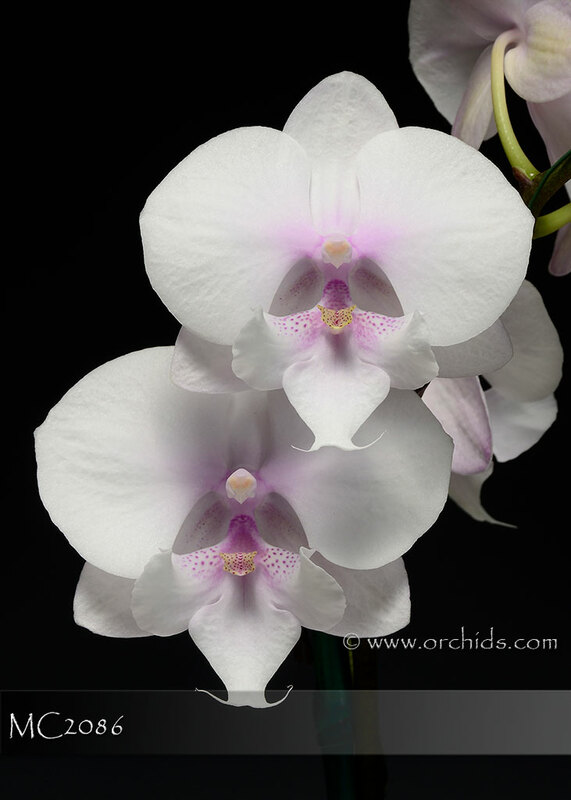 Mated to the proven “broad lip” parent, Phal. Yu Pin Easter Island, ‘Cotton Candy’ has combined the best of both, producing a pristine white “broad lip” with the kiss of a central blush. For the newest in this line of breeding, this is Highly Recommended!